6 Comments on Living soil. Read all about it. There are many sites talking about Bokashi, about EM, about how marvelous it all is. But this one’s a bit different. There are some real experts on board and they’ve been working with Bokashi for many years. With a lot of heart in what they’re doing. Here’s a paper by a Dan Woodward talking about soil and sustainability. Effective Microorganisms as Regenerative Systems in Earth Healing. It’ll take you a little while to read and digest so it’s probably worth going and getting yourself a cup of coffee before you dive in. But it’ll be one of the more interesting coffee breaks you’ve had for a while! Here’s the link to the article>> The organization is called Living Soil and they’re based in the UK. Very interesting reading. I am still digesting it. I am constantly amazed how long this information has been well known and being used by only some. 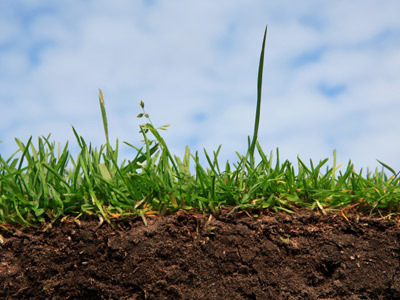 If a new I-Pod or video game console is developed, everyone knows (whether we want to or not), but something as important as regenerating soil to solve many of the problems faced by humans, creatures and plants and so we can better enjoy our own patch on this earth and…. Anyway, we are doing our best to keep things moving in the right direction. A book no gardner should miss is “Teaming with microbes”. It’s all about the soil, the food web and the critters etc. While the information is dense, the writers took the chance to put a humor sauce on top of it. A fun read after all! I agree with the sharing of information. I want to share some: find “a farm for the future” on YouTube. It’s an interesting documentary about 45 min. Brilliant! Thanks for the tip Aschwin. That’s a book I would really like to read. Oh, I could go on and on about documentaries, reports, books etc. Even if you’re not religious, there are some great tips and insights in this film. Watch it for free by following the above link. Let’s get our message on EM usages across for the good for our mother earth. Next Entry Bokashi — Keep it dry and it won’t smell. Promise.